The Jeopardy of Contentment: New Music: Plants and Animals, Dead Confederate and Why? 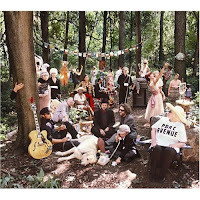 New Music: Plants and Animals, Dead Confederate and Why? Posting has been pretty scattered here recently but it's not because there's been a lack of good new music. Here are a few albums worth checking out that are available now or coming out soon. Although this EP came out in 2007, I am just catching onto this band now. I have heard them compared to other "indie" bands that share their Southern heritage (Dead Confederate are from Georgia) like My Morning Jacket or Band of Horses but I don't think they sound much like either band. 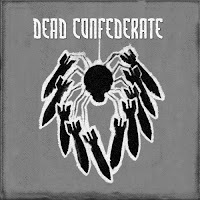 If anything Dead Confederate have more in common with bands like Black Mountain or The Black Angels. This is just a five song EP (you can get it through Amazon or iTunes) but they are reported to have a full length album out sometime in 2008. The Anticon label and their roster of weirdos has come a long way. If you aren't familiar Anticon began in the Bay area as an "avant-garde" hip-hop collective. They are responsible for one of my favorite hip-hop albums of all time, Deep Puddle Dynamics, which was a one-time album whose members were/are: Sole, Doseone, Alias and Slug (from Atmosphere). 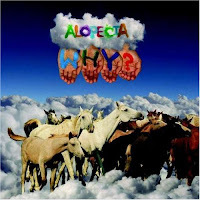 Anticon is responsible for some brilliant stuff (Themselves, Cloudead, Sole's Bottle of Humans) but recently their hit-or-miss catalog has been mostly misses. Just when I thought Anticon and it's members have became irrelevant Why? and Doseone's band Subtle (Subtle isn't on the Anticon label but Doseone is a founding member) have taken the indie-rock road. Why? 's most recent album, Alopecia, is a truly brilliant, beautiful mess. If you can get past Yoni Wolf's unique voice then there you may a lot on here enjoy, as long as you like your music on the weird side.